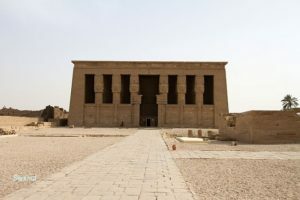 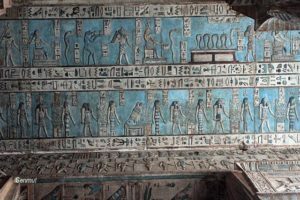 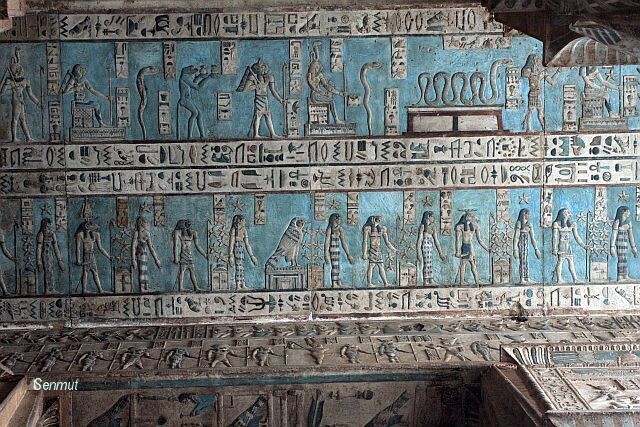 The temple is dedicated to the goddess Hathor and the present building dates back to the Late Kingdom and was built by Nectanebo II, although there is evidence that Pepy I started to built here a temple, and also there are remains of a 18th dynasty temple. 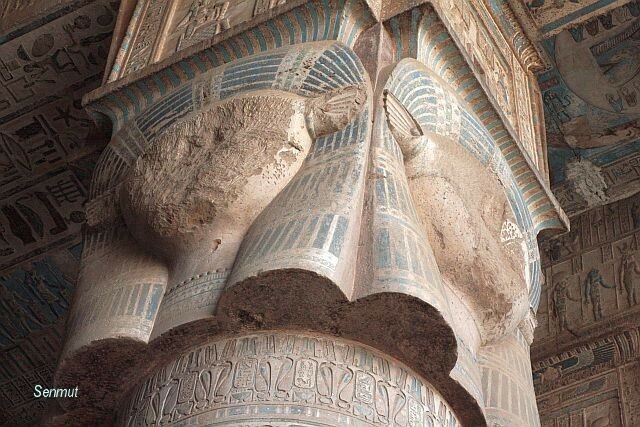 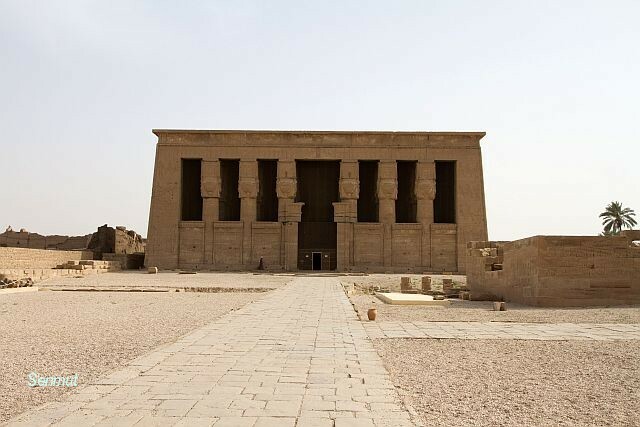 This temple counts as the most complete and best preserved temples of Egypt. 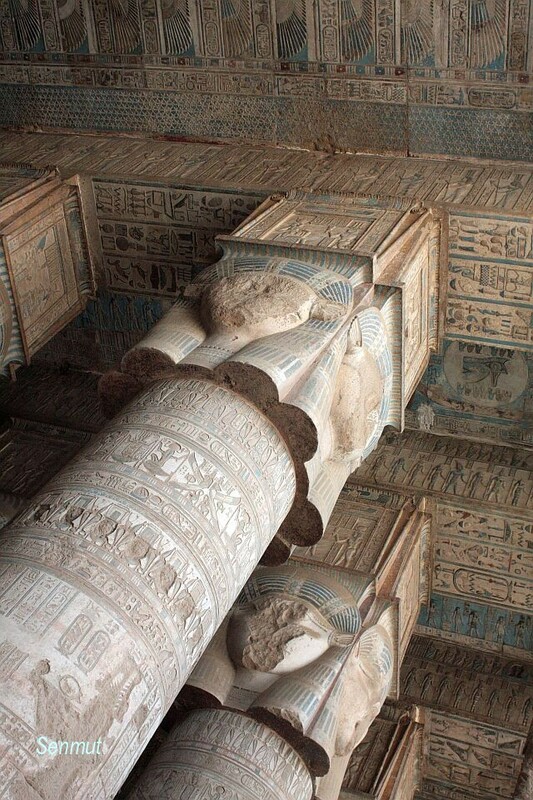 Recently the ceiling has cleaned and restored in its former glory.